Dodgers Blue Heaven: 2017 Dodgers Sports Crate - July Edition - Corey Seager! 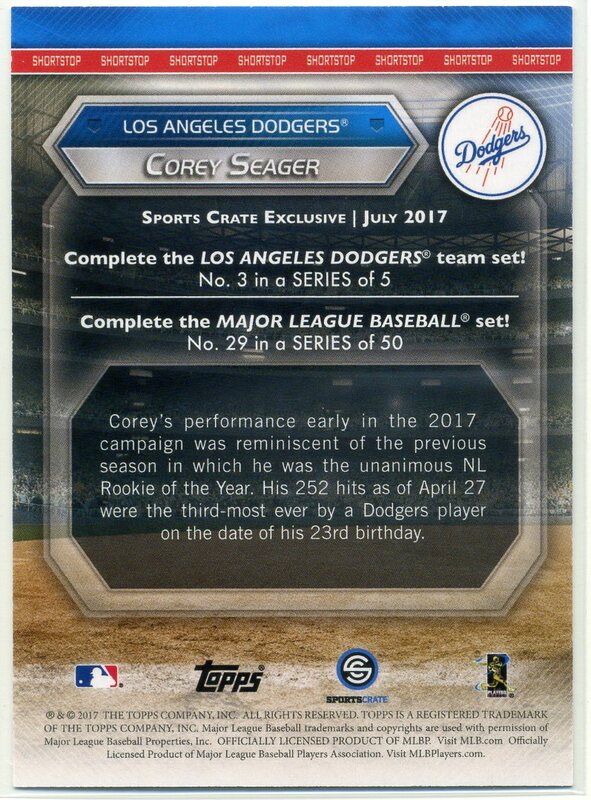 2017 Dodgers Sports Crate - July Edition - Corey Seager! This is my favorite Sports Crate Dodgers box so far -- not because if features phenom shortstop Corey Seager. Rather, it's filled with stuff I can actually use... even, need. Of course, this all mitigated by the fact that this July edition of Sports Crate is almost a month too late. As you may know, they've been having fulfillment issues, so this box that should have been delivered during the last week of July didn't hit my doorstep until yesterday. Fortunately for them, I've starting to really dig the crates, and I now find myself waiting impatiently every month. Anyway, let's take a look at this crate. 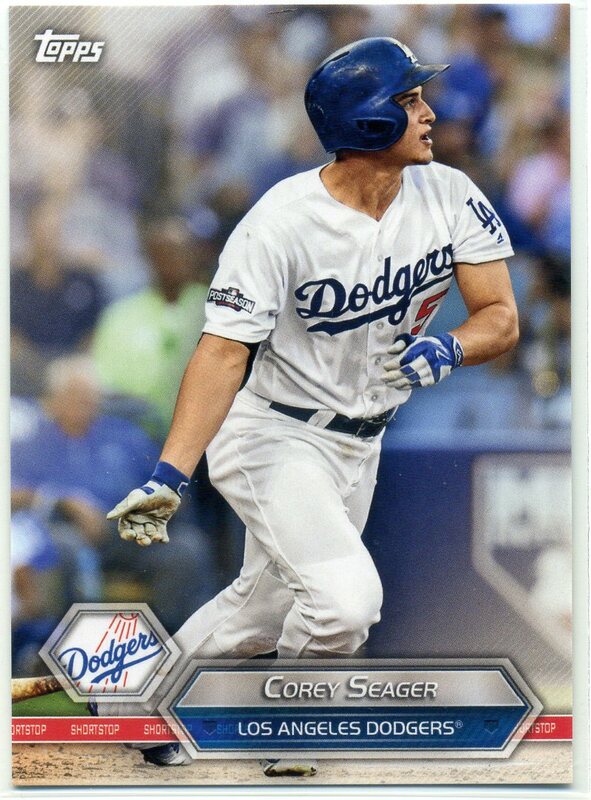 Featured at the very top is the 2017 Topps Sports Crate card of Corey Seager. This is the third Dodger card so far in the set -- Clayton Kershaw and Yasmani Grandal are the others. At right and below is a Dodger themed car sunshade -- complete with sports crate bag to hold it in. As you can see, I've already put it to good use. The next Thing I pulled from the box is a Dodgers leather wallet. This item couldn't have come at a better time. I've been looking around for a new wallet (as mine is easily 20 years old), so now my search is over. Below is a Dodger t-shirt. Lastly, below is the Corey Seager figurine. As you can see below, you can pose him as either an infielder or batter. For the first time they include interchangeable parts. With the Seager you get both a fielders glove-hand and a batting glove-hand that will allow him to hold a bat.